Four or five Blue Jays have been visiting a few times a day, carrying off every peanut they can find. I watched one big jay wolf down 11 peanuts then fly off! I thought wow, I guess they have a lot of babies to feed this year. Or… are they taking and hoarding the peanuts, depriving other peanut-loving birds of a favorite food? Bluebirds, chickadees, titmice, nuthatches, grackles, catbirds, pine warblers losing? Blue Jays winning? According to an article in Audubon Magazine, Slings and Arrows: Why Birders Love to Hate Blue Jays, these bold blue relatives of crows and ravens cache nuts like acorns and beechnuts. The foraging blue jays, she explained, held an acorn with their feet and hammered the nut’s cap with a closed bill until it came loose. The birds then used their lower mandibles to pry the cap off and either hammered the acorn open and ate it or swallowed the nut whole for caching. The expandable throat and esophagus of a blue jay can hold up to five pin oak acorns or three larger ones from white oaks, and the bird typically collects one more nut in its bill before departing. Arriving at its cache site, the blue jays usually regurgitated their acorn haul in a pile, then dropped the nuts one at a time within a few yards of each other, covering them with leaf litter. 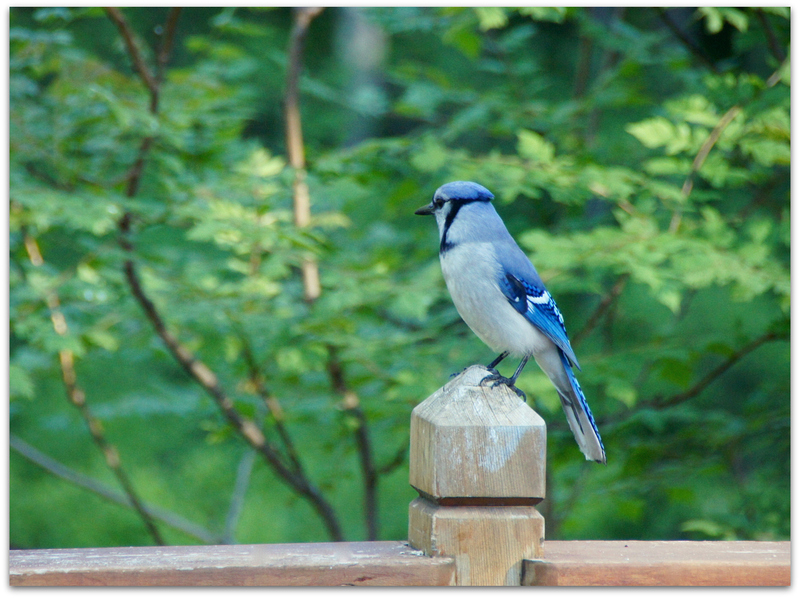 Blue Jays are known for their intelligence and complex social systems with tight family bonds. Their fondness for acorns is credited with helping spread oak trees after the last glacial period. So, my purchased peanuts are part of the little dragon-treasure hoards of our resident Blue Jays! 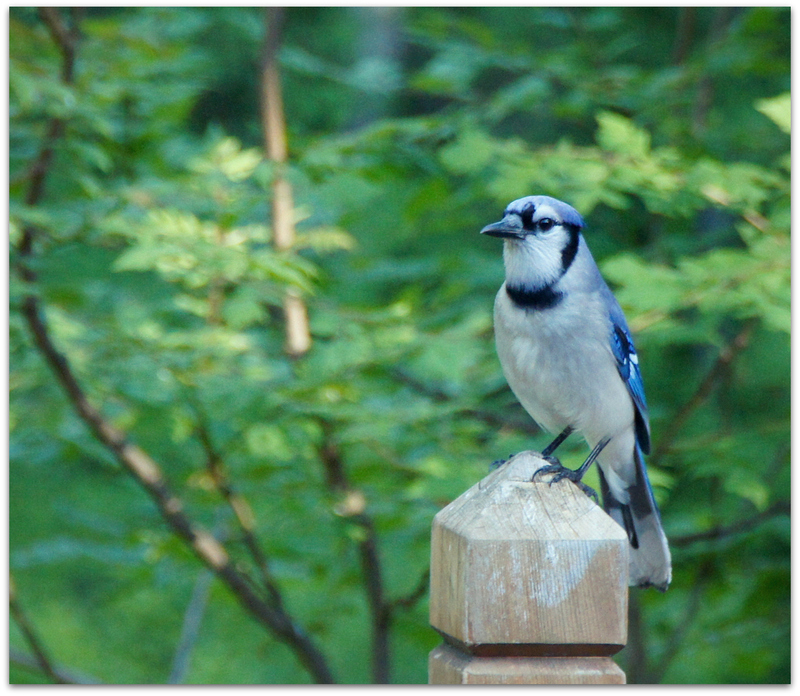 This entry was posted in Uncategorized and tagged backyard birds, bird food, birds, Blue Jay, peanuts on June 4, 2014 by Amy.